Let's take all the personal slights out of it for a second! Here are four great Canadians who share a a whole heck of a lot in common, but who also represent substantially different philosophies and strategies on some key issues. Yes, there is a lot of emotion and intensity in politics, especially in election campaigns, but I think it helps immensely if we come at it all from a place of respect. The all or nothing, my way or the highway arguments may cause many people to stay away for fear of making the "wrong" decision. I've heard the fear of making the "wrong" decision from a few people. And it is a true shame, I feel. I myself have been fretting over this with my own personal voting decision. Are the major political parties in Canada really all that far away in their policies and platforms? I am just going to do the best thinking I can and then vote accordingly. If we don't, as citizens, continually ask for respect from our political leaders, political candidates and importantly from the media, the message will not get heard. For 9 days last month, I traveled Canada and talked to many young Canadians about voting, politics, and government. I went to Whitehorse, Toronto, Sioux Lookout, and Moncton. 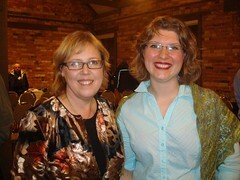 I also hosted a dialogue in Kamloops, my own community. I am so thankful to have had these incredible conversations before the start of our current federal election campaign. They have anchored my thinking and provided me with some personal clarity as to the issues I feel are most important in the election. I was surprised by how many young people I talked to internalize a sense of inertia in the system. One young lady in Toronto, an ardent NDP supporter, saw little point in voting at all because it was only the Liberals or Conservatives who could form government. At the start of the first week of the campaign, there was much talk about how support for the Conservatives was so very solid and how it would take almost a miracle for the Liberals to catch up. This type of talk, so early in a campaign, always surprises me. 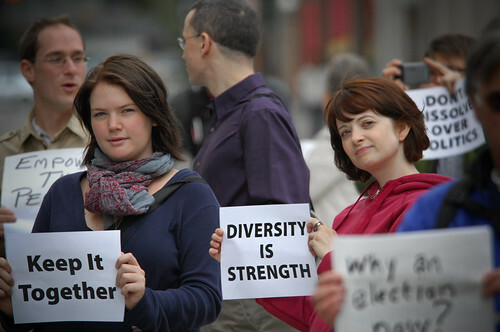 I helped lead the pro-STV campaign in the 2009 BC referendum on electoral reform, and our polling numbers swung 20% in the campaign. Once a campaign starts, the levels of support can be incredibly fluid. The Liberals have had a stronger week, it seems to me, and the polling numbers are narrowing. The NDP have lost a bit of support, but again this is very early days. 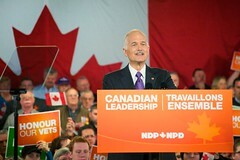 Jack Layton seems to be running a strong campaign. This is a good thing for democracy in my opinion (and my conversations seem to suggest it as well), because when people feel there is a competitive race, they seem to pay more attention and their desire to participate increases. I am trying to follow the election as closely as I can, but it is very difficult to follow even a small percentage of the coverage. Then also, a lot of the coverage is not really on the policies and promises. It is about who is ahead and who is behind. Not really useful, in my opinion. A strong common thread running through my conversations on my cross Canada trip is that young Canadians would like to access solid information on policies and platforms. They are generally not really interested in all the negative bashing that goes on. This, in fact, can confuse them even more. In this vein,I really like the CBC sponsored Vote Compass online private survey. It's not perfect, but I found it really easy to use. It's one way of getting some sense of which parties might match most closely with one's opinions at this early stage in the campaign. I don't imagine many Canadians are going to read through each party's platform, but it might be a good idea to contact your local candidates to ask them questions on issues that matter to you to see where they stand. Al Knight, Kamloops area Chief Returning Officer, speaks. People can actually vote anytime during the election campaign. The CRO's office opens the day the election is called and people can vote that same day. Makes it rather convenient. No excuse not to vote, even if out of town. Al is, for the most part, pulling out from using schools as polling stations. He mentioned that can be quite a huge disruption on a school day. The chosen alternative might create a little more parking challenges. Seems to me that the a large part of the plan is to centralize polling stations into fewer and larger stations. Get the polls at off peak times, eg during the workday. Al explained that the winning and second place party from the election previous get first right of refusal for all the positions in the polling stations. Am I the only one that finds that a bit weird? In theory, the chief poll captain and the 2nd in command are of different parties but I got the impression that doesn't often happen. Saving grace of all this is that political parties can't likely usually volunteer the amount of people needed to run the election.